26 Person has expressed his thoughts, Now you turn guys! Hi and thank you for this amazing template. I have a new blog and I'd love to display both videos and images. If I write a post with a video, you cannot see it in thumbnails. Is there a way or a code I can add to the html to see the video in the main page? 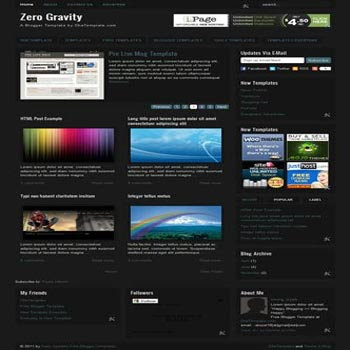 my Configure Blog Posts frame and other frames are changed. What can I do ? recent comments are not showing neither... i tried to use the code you gave 24youra but i don´t know where to place it... help ! @ gigi krein : Just copy and paste that code and put into widget section. You can placed in sidebar or footer widget. @gigi krein : You can place it in sidebar or footer widget. The reference to entity "callback" must end with the ';' delimiter. where the *** is, i´m trying to put the script... what´s wrong?? I love the theme, but I want to have the date of my posts showing along with the "Posted by" and time. How do I add dates to my posts? @ireng ajah: I've tried using the widget, and I'm ok with posts saying "Posted by" and the time, but I wanted the date included. I've checked the date box on the widget but it still doesn't show up on my posts. Hey, loved the template. Is there any way to remove the slider wrapper or to have it automatically update with the 5 latest posts? Feel free to e-mail ([email protected]). Thanks!! i m not able to put my facebook page , twitter link .. It looks like something's glitchy with the fonts being used for this template (example, my title's cut in half), and it looks like the same problems I'm having are affecting the demo as well. I just wanted to let someone know to see if it can be looked at. Thanks.